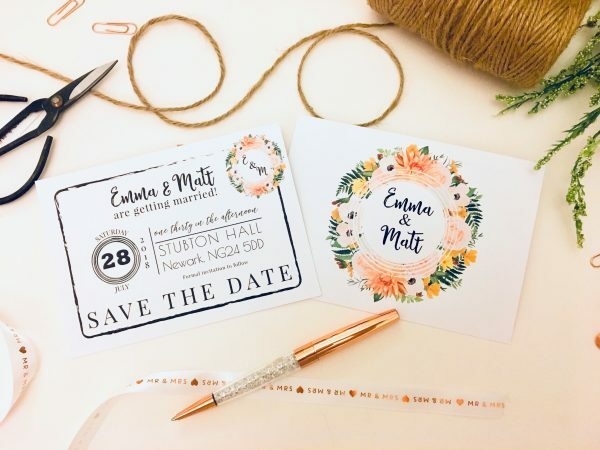 This bright and fresh save the date will make a great impression and is completely on trend with floral design. This bright and fresh save the date will make a great impression and is completely on trend with it’s floral design. Printed on 300gsm off-white textured card, A6 in size (105mm x 148mm) and comes with a C6 off-white textured envelope. Envelope liners can be added for an extra cost. Kraft envelopes also look great, so if you would like this option please let me know on your order.